Who are the Banyole People in Uganda? These people live in Bunyole County of Tororo district. 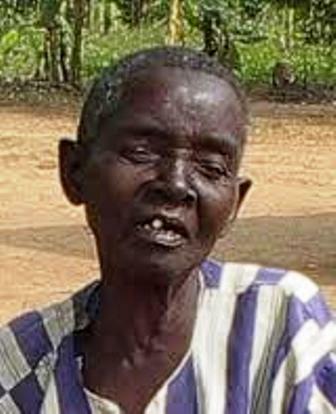 They seem to be a sub-group of the Basoga but they are closely related to the Basamia Bagwe in customs, language and origin. 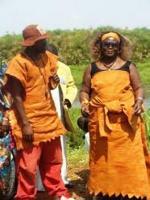 Like the Bagwe, they claim to have originated from Banyala of Kenya. Their birth, burial and marriage ceremonies are similar to the Basamia Bagwe with slight variations. When a child was born, the placenta was taken and buried where no one could see it and use it for evil purposes. It was feared that if the placenta landed in the hand of an evil person, he could manipulate it so as to use it to inflict death or harm on the newly born child or to prevent the mother from ever conceiving again. The mother would be confined in the house until such a time when the remains of the umbilical cord would break from the navel.The remains of the umbilical cord were kept in a special gourd and the mother took care to keep as many cords as the children she had. In the event of evil, these cords were believed to be of great importance as an antidote. The food cooked for the mother after birth could not be given to any other person save the mother and her husband. Immediately twins were born, they were just left were they were. Special porridge was administered to the mother and the father rand there followed other functions similar to those of the Basamia-Bagwe. The mother could leave the house in special circumstances during the time of the confinement. In such an event she would be covered with a winnowing tray before she got out. When a girl grew up, her parents would ask her for her choice. The girl would then introduce the man to her parents and bride wealth negotiations would be entered into. Thereafter, due arrangements were made and following a feast, the girl was officially released to go and get married. If one’s husband died, the clan would choose of one late husband’s brothers to take her over. If the woman was already elderly, she would remain with her children. The economy and the political systems of the Banyole were similar to those of the Basamia-Bagwe.